Recently, I was told about an officer that ran across a citizen carrying a firearm openly. The officer took what he felt was the appropriate action to address the situation. In light of the current political climate regarding guns, gun control, the 2nd Amendment, etc., a couple of people indicated they would like to see some further information on the topic of open carrying. This topic is much simpler than it may seem. The law that allows open carry in Louisiana is Article 1 Section 11 of the Louisiana Constitution and the 2nd Amendment to the U.S. Constitution. Without getting too heavy into some type of constitutional analysis, the Supreme Court says that American citizens have the right to keep and bear arms. “Keep arms” means “have weapons” and “bear arms” means “wear, bear, or carry … upon the person or in the clothing or in a pocket, for the purpose … of being armed and ready for offensive or defensive action in a case of conflict with another person.” Dist. of Columbia v. Heller, 554 U.S. 570, 584, 128 S. Ct. 2783, 2793, 171 L. Ed. 2d 637 (2008). See also McDonald v. City of Chicago, Ill., 2010, 130 S.Ct. 3020, 177 L.Ed.2d 894. It is allowable to ban the possession under certain circumstances. LSA 14:95.1 bans convicted felons from possessing a firearm or carrying a concealed weapon (see State v. Clement, Sup.1979, 368 So.2d 1037). It is likewise allowable to ban carrying a firearm at a school, a school-sponsored function, or a firearm-free zone (see LSA 14:95.2). However, attempts to prohibit any form of open carry have been overturned as unconstitutional in Georgia and Tennessee. In this regard, what is legal is defined by what is specifically illegal. In general, if one is not in violation of LSA 14:95, et seq., one will be protected by the Louisiana Constitution and the U.S. Constitution. The statute against carrying concealed weapons does not contravene the second article of the amendments of the Constitution of the United States. The arms there spoken of are such as are borne by a people in war, or at least carried openly. The article explains itself. 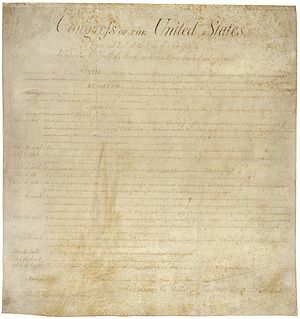 It is in these words: “A well regulated militia being necessary to the security of a free State, the right of the people to keep and bear arms shall not be infringed.” This was never intended to prevent the individual States from adopting such measures of police as might be necessary, in order to protect the orderly and well disposed citizens from the treacherous use of weapons not even designed for any purpose of public defence, and used most frequently by evil-disposed men who seek an advantage over their antagonists, in the disturbances and breaches of the peace which they are prone to provoke. There is, therefore, nothing in the Constitution of the United States which requires of us a rigorous construction of the statute in question. State v. Smith, 11 La. Ann. 633 (1856). The Louisiana Supreme Court also addressed what constitutes concealment. Basically, if part of the weapon is concealed and part visible, then it is concealed. If you strap a rifle to your back or holster a weapon on your hip, it is not concealed. The constitutional right is to bear arms openly, so that when one meets an armed man there can be no mistake about the fact that he is armed. When we see a man with musket to shoulder, or carbine slung on back, or pistol belted to his side, or such like, he is bearing arms in the constitutional sense. Of course there are other examples. These are but illustrations. There is no danger of any jury or court misinterpeting our statute prohibiting carrying concealed weapons, and confounding a case of lawful arms-bearing with one of carrying dangerous weapons concealed, unless verbal distinctions are pressed too far and they are misled by them. A pistol half stuck in a pocket or about the clothes so that it is not fully exposed, even though a part of it may be visible, is carrying a concealed weapon within the meaning and intent of the statute, and that is the language of the charge. State v. Bias, 37 La. Ann. 259, 260 (1885). unless the officer already has probable cause to arrest. Of course a law enforcement officer is free to speak with whoever he or she choose. However, that person is also free to not speak back or answer questions. Once the individual is no longer free to leave, a law enforcement officer would need articulable probable cause to arrest. I think it is also important to note that one is not guilty of trespass (LSA 14:63) as long as you have express, legal, or implied authority to enter or remain on the property. A business, by the very nature of being open, impliedly invites people in. However, that authorization can be revoked at which time it could be a violation of LSA 14:63 to remain. In the context of this discussion, if an individual was lawfully carrying a firearm openly, it would be legal to walk into the local grocery (as long as it didn’t violate some other law like being too close to a school or in a firearm-free zone). However, if the store rescinds whatever authorization that person had to enter the store, then it could be a violation of LSA 14:63 to remain on the property (or return later). The Louisiana Open Carry Awareness League provides these guidelines regarding open carry in Louisiana. While this is obviously a special interest group, the FAQ’s appear to be decent explanations of the law. If anyone has anything they would like to add to this discussion, please feel free to comment or let me know directly. This is in no way meant to be a political statement on my part. It is simply a recitation of the law as I understand it to be currently and is intended for those tasked with enforcing the law.